Your big day is fast approaching, everything is planned and it’s going to be a storybook finish. However, have you considered hiring a wedding day coordinator? At first, it might seem redundant considering that you have planned everything yourself (and if you didn’t, most wedding planners double as wedding coordinators too!) but wedding day coordinators fill a very special niche that can be very helpful. 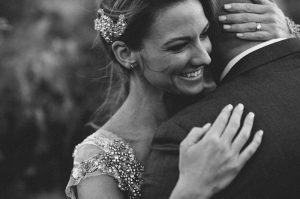 This article is going to go over some of the advantages of hiring a professional and why it should be at the top of your list when planning your wedding. 1. Someone to be an extension of you on the day. You know exactly what you want, and now you have someone to fulfil your exact wedding specifications. This is no overlooked fact, if you, for example, asked a friend or relative to oversee some of your elements, this puts unwanted pressure on them as well as a risk of your tasks not getting done properly. With a professional, they will follow your instructions to the letter. 2. Someone to help with any extra set-up requirements. 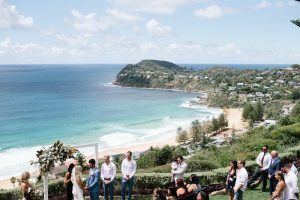 Are you getting married at a property or exclusive venue? 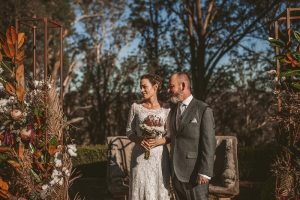 Quite often these wonderful locations allow you to have exclusive use of the entire property which also means there is no venue manager or staff to assist with set up. Place cards, ceremony confetti or post ceremony lawn games. Your coordinator will be available to take care of all the little extras. 3. To be the go-to on the wedding day. You don’t want to be answering guests’ questions or taking calls from your vendors during hair and makeup. With a wedding coordinator, they will be the main point of contact for the entire day. 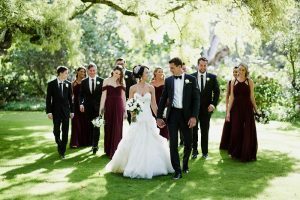 They will have provided their contact info to your suppliers in the lead up to the wedding and you will also have let everyone know to go straight to the coordinator with any questions. 4. Someone to re-purpose any flowers or styling pieces from the ceremony to reception. This is sometimes overlooked, but you often have amazing floral installations and arrangements at your ceremony. Your coordinator can take these pieces to your reception space and place them in suitable spots to add to your reception styling. 5. Someone to coordinate your ceremony entrance. It is no mistake that the most important part of the wedding is the Bride’s entrance. 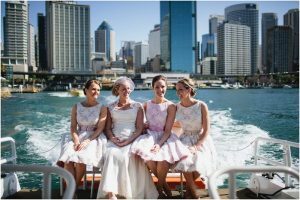 Big bridal parties need someone to cue them in, working with the Celebrant and Musicians to ensure that it’s as spectacular as possible. For this reason alone, we recommend a professional over an amateur. Furthermore, if you don’t have a musician, then you likely need someone to press play on your ceremony music. 6. Someone to coordinate with your MC and caterers to make the reception run to time and smoothly. A professional wedding coordinator will be able to time your event to perfection and ensure everyone is where they need to be when they need to be. If your MC is also a guest then having someone else manage the time and formalities will allow them to enjoy the wedding with all other guests. If something goes wrong, then your coordinator is there to solve any problems on your behalf. 7. 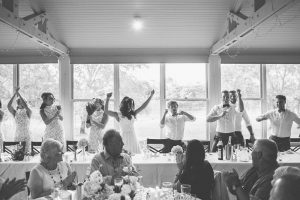 Developing your wedding day Runsheet (schedule). Having a vital document to ensure a well-planned wedding day is essential. A wedding coordinator can put this together for you and guarantee that no item or detail is missed. It will also help you in the lead up, to make sure that nothing has been overlooked. 8. Support in the final stages of planning. Your Coordinator will be your biggest support in those last few weeks – answering any last minute questions you may have and confirming suppliers and plans on your behalf. Overall, your wedding day will likely be the biggest event you may ever plan. Focus on the important (and fun) stuff and let a professional Wedding Planner coordinate the day. You won’t regret it! For more information on our Wedding Day Coordination packages click here. We can take care of your day of coordination in Sydney, Wollongong, The Southern Highlands, NSW South Coast, and Kangaroo Valley.